Click Here to visit our Etsy Shop! We ship our Heavenly Banana Bread, Ultimate Chocolate Chip Bread and Banana Bread Truffles made fresh to order to anywhere in the U.S.
Barnyard Banana Bread makes a fabulous gift for yourself or your loved ones! 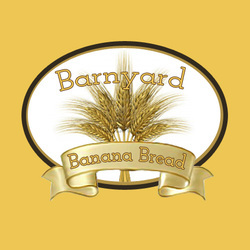 Barnyard Banana Bread is now being sold in NEW YORK!! If you are a Sharon Springs local and want more 'bread in a jar' you can find it at the Orchard Rose, right on Main Street.